An iOS device such as iPhone or iPad can share the internet connection of a Mac by either connecting with a USB cable or connecting via Bluetooth, as discussed in this Question. 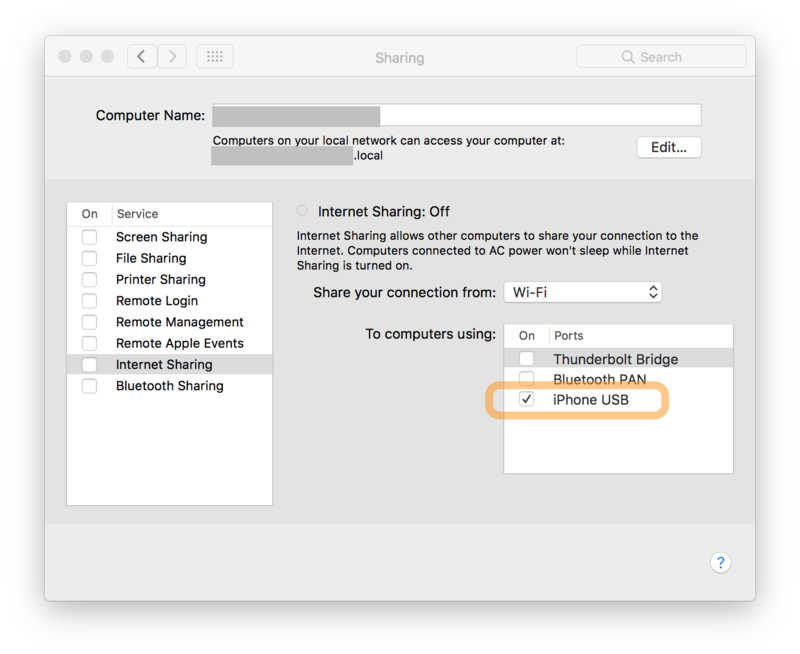 If I want to be sure that I am using the shared internet access of the Mac, I can shut off cellular data in Settings on the iOS device. Instead, is there a way to prioritize the use of the shared internet access over that of the cellular data? Is that default behavior? NOTE: The subject of this Question is not tethering where the Mac uses the iPhone’s internet connection. We are talking about the opposite: the iPhone is using the Mac’s internet connection. Browse other questions tagged macos ios mac cellular-data internet-sharing . Sharing Mac's wifi connection with iPhone, for iOS app development?